Publix’s Corporate Office is Growing! You’ve probably heard the expression, “bursting at the seams.” Well, that’s a pretty good description of what’s been happening at Publix’s corporate office in Lakeland, Fla. Today, a big announcement was made: Publix is expanding our corporate office building! The expansion will add 190,000 square feet of office space to the current 320,000 square feet, and construction is expected to begin in late 2019.
introduced new store formats such as GreenWise Market and Publix Liquors. With all this growth, it’s no surprise that the number of people working at the corporate office has increased from 800 to 1,400 and counting. This isn’t the first time we’ve expanded our corporate office building. 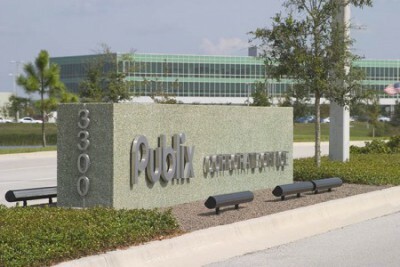 The first facility Publix constructed is 5 miles away from our current building. Completed in 1951, the 125,000 square-foot office and warehouse building was cited as the most modern structure of its day. It was designed with the same art-deco style of the early Publix stores. About 15 years later, store growth led to expansion of the building. 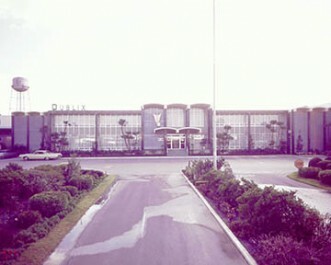 The additional office space was completed in 1967, and this facility remained as the corporate office until the move to our present-day location. 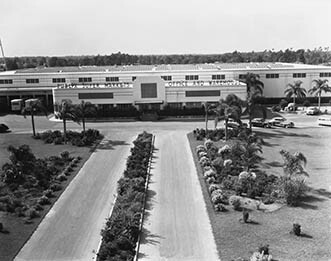 At that time, the original office was renamed the George Jenkins Building in honor of Publix’s founder, and a number of corporate support departments still work from this facility today. If we go back even further in time, Publix occupied another facility prior to building our own. 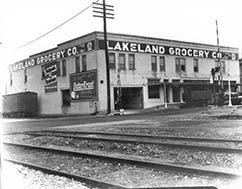 In the very early years of our history, our main supplier of goods was the Lakeland Grocery Company. In 1945, the Lakeland Grocery Company was put up for sale, and Mr. George knew this would be the perfect opportunity to expand his business, so he negotiated a deal to buy the company. This negotiation included 19 small retail stores called All American, and a small warehouse in downtown Lakeland. The need for expansion is a sure sign of success, and it’s all thanks to the many Publix people working in our stores and support facilities to make sure that shopping is always a pleasure for our customers! Trivia: A small container is buried under the cement of the corporate office. Can you guess what items are inside?